The Department of Defense is about to begin the process of destroying a multi-million-dollar observatory and 36-inch telescope high above Big Sur, California — a great loss to astronomy and the public. 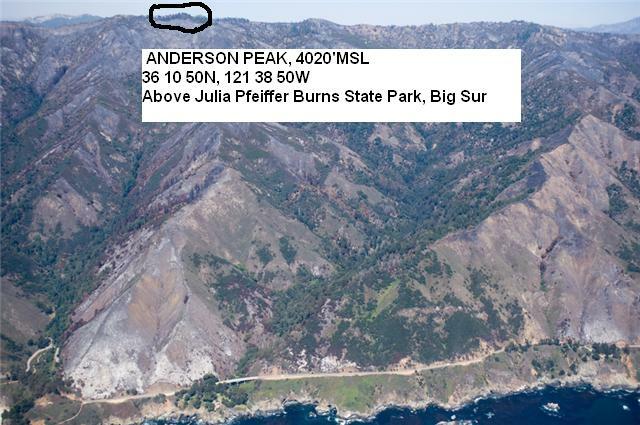 Anderson Peak Observatory has existed for some 35 years atop Anderson Peak, at 4000 ft. overlooking Julia Pfeiffer Burns State Park, safeguarding the Country during the Cold War by monitoring aerospace events overhead. US taxpayers supplied many millions of dollars, designing, operating, and enhancing the site over those 35 years. Today, just the raw mirror to the telescope, 36″ and 600 lbs worth, would probably cost over a million dollars to make. The Department of Defense at nearly its sole expense, (Read: YOUR Taxpayers Dollars at work) maintained, serviced, and improved the Coast Ridge Road that served the 30 some residents along the Majestic Anderson Peak Ridge, amounting to a million dollars or more spent to keep up the road. Of course, the road also allowed the Department of Defense to access the Observatory, and discreetly, quietly perform their extremely low environmental impact tasks in US national defense. 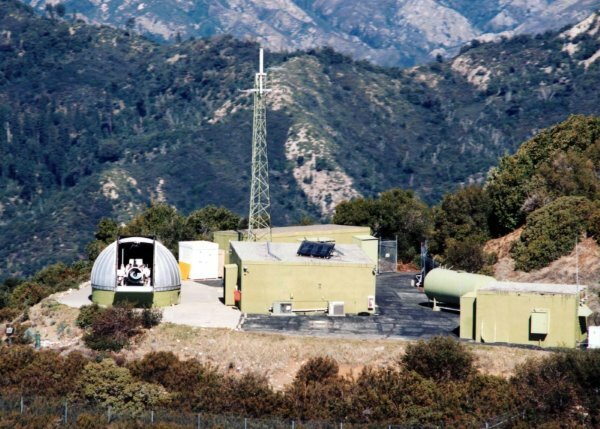 The 2 or 3 DoD contractor staff persons attended and operated the observatory on almost a daily basis, forming a very small percentage of the daily overall traffic transiting Coast Ridge Road, composed of the residents there, US Forest Service, and the FAA, which tended their VORTAC, 24/7 next to the Observatory. Also at the Peak, AT&T staff tended to their microwave and radio communications equipment. To this day, and in the future, AT&T and FAA staff continue to visit the site, as does County Communications. The FAA VORTAC, callsign BSR, is a critical ground based navigation aid for Air traffic in the California Region, and will likely never be taken down. The DoD ceased Observatory operations in recent years, so they no longer visit the Observatory on a regular basis. The FAA now remotely controls their VORTAC, so also have reduced their traffic load (considerably) on the Coast Ridge Road, from about 100 trips per month to 1 trip per month. A large part of the overall value of Anderson Peak Observatory is the exceptional site location, high, and in clear undisturbed air for optimal viewing, and is one of the best astronomic sites in North America. However, the DOD has begun the process of destroying the Observatory, and its small footprint (1 Acre) of the 10 acre+- site, tearing down the telescope, at the demand of local residents, and turning that 1 acre back to dirt and poison Oak. A volunteer group of science and astronomy professionals, some from the nearby US Navy Postgraduate School, SETI Institute in Mountain View, Fremont Peak Observatory, and other locations, recently heard of the possible loss of this world class observatory at the world class site for some 35 years, and opened discussions with the DoD, revealing their interest in saving this extremely valuable and capable asset, to continue to operate it in the interests science and education. This group is forming a 501C3 Not for Profit corporation (science/education) to become the entity to manage future use of the telescope. This group, described how the future operations of the telescope would be automated, being accessible and controllable completely via the Internet, to any enabled user, anywhere in the world. Once that was done, very little travel to the site would be necessary via the already little travelled Coast Ridge Road. The group’s intent was to make available the magnificently capable observatory to the world at large from the comfort of the operators own university or home computers. The 30th Space Wing, current operators of the telescope, had no further need or use, now operating from similar assets in Hawaii, but there are others within the USAF that expressed chagrin of the apparent loss of the Anderson peak Telescope. Now, the effort has focused on contacting the 30 or so property owners who own property along and under the access road to the Observatory. They were able to contact a single owner only, Mr. John Cluett, a homeowner living near Marble Peak, about a mile along the road, beyond the Observatory Site. Work visits, however rare to the site, would never come within a mile of or ever cross adjacent to Mr Cluett’s residence. Mr. Cluett, from the beginning, asserted his vehement opposition to any further use of the Observatory, citing traffic concerns. Cluett’s assertion, in spite of the fact that the Observatory operations contributed only a very small fraction of the overall, ongoing traffic on Coast Ridge Road during its 35 years there, and in its future application, that small amount would become miniscule, almost disappearing completely. Mr. Cluett asserted himself as the representative of all other property owners along the road, and became their mouthpiece, and (hopefully), the channel for incoming information to the land owners from those who wanted to put the unique Taxpayer paid-for Observatory to further productive use. Mr Cluett spoke of a easement agreement filed in Monterey, in 1994 that he interpreted to provide that any one of the 30 or so land owners could declare the site landlocked to any future user, against any purpose, at any time. That is, whenever there was a routine expiration of any of the permittee agreements on the the Peak, ANY land owner named in the easement could choose to landlock the US government property from any further use, even for continued use of the same activity if the landowners so chose. A PDF of that old Limited Easement document will be [is now] posted on this website. The easement lists the landowners, and the asessor’s Parcel Numbers (APN) of Parcels that the Coast Ridge Road transits. It was Filed in Monterey County Recorders office, February 24, 1994, Reel 3071, pp 362-381. Mr. Cluett asserted his right as a land owner to land lock the site from further use, and refused to allow the Observatory to continue to be used, and stated that it would have to be torn down, saying only a single land owner negative vote was necessary, to force termination, but Mr Cluett specifically stated, that all 30 or so owners, that Mr Cluett said he contacted , refused continued use of the Telescope. Mr. Cluett communicated his assertions to the Department of Defense by email. The DOD, who were very supportive of transferring the site over to a new user for continued use, were compelled to reply to interested Parties, indicating, on the basis of Mr. Cluett’s assertions, that their hands were tied, and that they were going to begin the process of demolition of the site, thus rendering useless the multi-million dollar precision telescope components. Most, in the astronomy community are shocked at this action of voluntary land locking by the land owners, and consider it a gross travesty, a mis-use of US Taxpayer dollers. The 1 acre site demolition, by the DOD, and associated CERCLA processes required will cost Taxpayers additional millions of dollars, that do not have to be spent if the site was not destroyed. We will be posting photographs, maps, and other informational material on the Observatory here. Please review them, and if you have any questions please don’t hesitate to ask.